Tuesday - Sunday : 9.00 a.m. - 8.00 p.m. The Museum contains a small section of contemporary art and sculpture as well as oils, coats-of arms, religious objects and paintings. The altarpierces are the most interesting part of the collection. They offer a complete panorama about the best Sardinian school of painting. 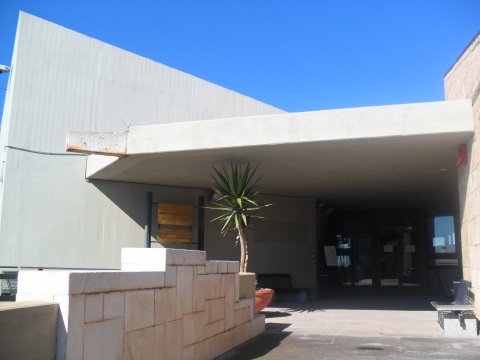 The National Gallery of Cagliari, located within the museum complex of the Citadel of Museums, was previously situated on the existing structure of the Royal Arsenal. Then, since the late nineteenth century, it was hosted in the Palace of Seziate in the nearby Piazza Indipendenza, and for more than a century it was closed to the public. It finally found its permanent home in the current headquarters inaugurated in 1992. The National Gallery gathers together, in addition to a small section of contemporary art and sculpture, paintings, coats of arms, ornaments and pictures. The altarpieces are considered the most interesting part of the collection, as they offer a panorama of the best Sardinian paintings from the initial penetration of the Catalan-Valencian flavor in the island to the products of the local workshop of Cavaro and the associate school of Stampace. The first nucleus of the collection was formed during the nineteenth century, after the abolition of the ecclesiastical authorities in 1866 and the destruction of San Francesco di Stampace church in 1875. In fact, at the beginning of the twentieth century new acquisitions and donations have enriched the Art Gallery with a beautiful and interesting ethnographic collection (fabrics, beautiful Sardinian jewels, furniture, pottery and weapons ). Moreover, from1919, an ewer take part in the collection. It is an extraordinary piece in the form of a volatile, built in the twelfth century by an artist of Byzantine culture. This is a rare piece of bronze sculpture similar in workmanship and decoration, to the exemplary "twin" of the Louvre Museum.